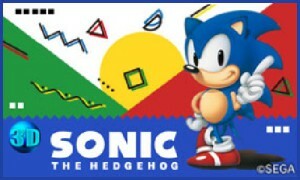 Another year, another insatiable urge for Sega to release a brand new iteration of Sonic 1. Launching May 15 in Japan, Sonic 1 joins Super Hang-On and Space Harrier as the first three 3D Classic Mega Drive remakes for the Nintendo 3DS. This is to commemorate the Mega Drive’s 25th Anniversary in Japan.